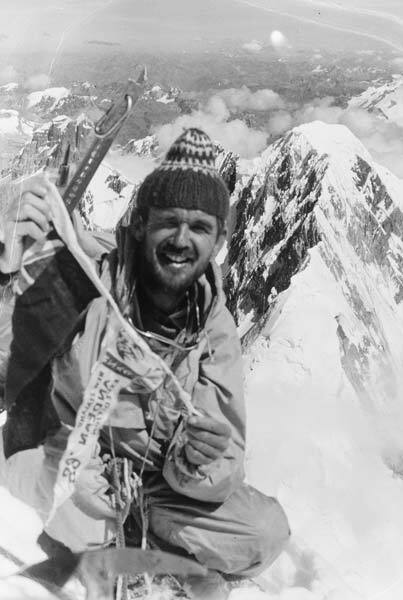 From the 1960s New Zealand climbers regularly attempted higher peaks overseas. David Adcock, the leader of the New Zealand Andean expedition, poses 6,634 metres up on the peak of Mt Yerupaja, the second highest peak in Peru. All eight members of the party reached the top.